Donald Trump’s top campaign aide, a New Hampshire operative with a reputation for his brash approach to politics, was charged Tuesday with battery for allegedly grabbing the arm of a reporter at an event earlier this month, becoming the latest center of attention in the Republican front-runner’s unorthodox race for president. Trump stood by his aide, and his campaign said Lewandowski would plead not guilty. A newly released video of the March 8 incident shows Lewandowski reaching for Michelle Fields, then a Breitbart News reporter, and forcefully pulling her back as she attempted to keep pace with Trump. It occurred after a press conference at the Trump National Golf Club in Florida. In a Fox News interview, Donald Trump said he thought it was ‘‘very unjust’’ that ‘‘nobody’’ from law enforcement called him. Trump escalated the controversy Tuesday afternoon, tweeting out a screen grab that appeared to show the Breitbart reporter making contact with his arm, and raising the possibility that he could file charges against her. “How do you know those bruises weren’t there before?” Trump asked reporters during an afternoon news conference in Wisconsin, questioning why Fields had not screamed if the incident were sufficient to cause concern. If convicted, Lewandowski faces up to a year in prison and a $1,000 fine, according to the Associated Press. He was issued a notice to appear in court on May 4. Days after the incident, Fields quit Brietbart, along with several other reporters and editors, after some at the right-leaning news website sided with Trump in the dispute over what had happened in Florida. As Trump has amassed delegates in the GOP race, violence has become more commonplace at his events, as protesters and supporters have engaged in altercations. The tone of Trump’s campaign has also provoked outcry among establishment Republican figures, who have voiced concern about the reality show host’s authoritarian rhetoric. The Florida incident also continued a consistent pattern in Trump’s bid for the White House of refusing to acknowledge facts, despite a preponderance of evidence and widespread condemnation from the political mainstream. Both of Trump’s rivals for the Republican nomination, US Senator Ted Cruz and Ohio Governor John Kasich, on Tuesday criticized the front-runner’s response to the incident. “This is the consequence of the culture of the Trump campaign, the abusive culture, when you have a campaign that is built on personal insults, on attacks, and now physical violence,” Cruz told reporters. Donald Trump has suggested that the accusations against his campaign manager, Corey Lewandowski (above), are concocted. “Look at tapes-nothing there!” he tweeted. The prominence of Lewandowski, who was raised in Lowell and is a veteran of New Hampshire politics, grew with Trump’s success; he is arguably the most well-known campaign manager in the 2016 race. Tall and slender, Lewandowski keeps his dark hair in a nearly perpetual buzz cut. While some campaign managers prefer to stand in the back of an event or off to the side, Lewandowski is often next to Trump on the dais. Some Republicans have described him as aggressive, fast-talking, and frequently cursing. “The guy that they’re talking about is not the guy that I know,” Golden said. Lewandowski entered New Hampshire politics 15 years ago to run US senator Bob Smith’s unsuccessful reelection campaign. 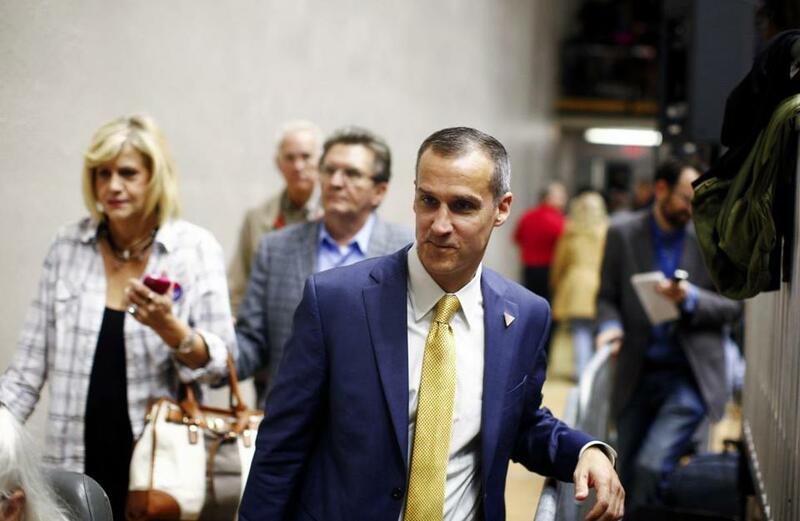 After that, Lewandowski continued with Smith’s outsider style in Republican politics, fighting his own party’s establishment nearly as often as he battled Democrats. He ran the local chapter of Americans for Prosperity, the conservative political organization backed by mega-donors Charles and David Koch. At an AFP rally, Lewandowski once debated a cardboard cutout of the Democratic governor at the time. Also under his leadership, the New Hampshire AFP organization became known for its efforts to back a Republican budget proposal protested by 10,000 union members and church groups. 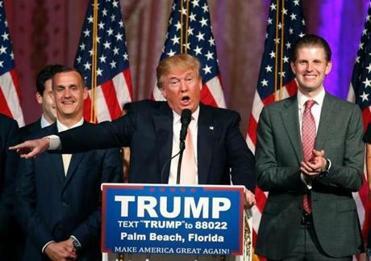 After reports of the Florida incident prompted calls for Lewandowski to resign,Trump showed his confidence in his campaign manager once again by having him at his right hand during his March 15 victory speech in Palm Beach. “The Trump campaign has focused on anger and discontent as a means of generating support,” Wayne said. Globe correspondent Alice Yin contributed to this report. Jim O’Sullivan can be reached at jim.osullivan@globe.com. Follow him on Twitter @JOSreports. James Pindell can be reached at james.pindell@globe.com. Follow him on Twitter @jamespindell. Click here to subscribe to Pindell’s daily e-mail update on the 2016 campaign.